The aluminum discs or circles are the important aluminum products, it is also called the aluminum circus, aluminum stamping, aluminum round and aluminum blank circle etc. It has a wide application, for example, it can be used to make cookware, utensils, non-stick pans/pots, bowl or cup, traffic sign, pizza trays, pie pans, cake pans, covers, kettles, basins, fryers, light reflectors and so on. Haomei Industrial Co., Ltd is a professional aluminum discs manufacturer, and it get the high appraises from the clients. The aluminum discs have many advantages, for example, the aluminum discs surface performance is good, and there is no obvious scratches, oil, oxidation, dark spots and so on. Thickness of the aluminum discs is 1.0mm to ensure the finished side is neat and have no burrs. The aluminum discs are detailed classification according to the different purpose and requirement, the customers can choose the type according to their demand. The aluminum discs produced by the Haomei comply with environmental protection standard. 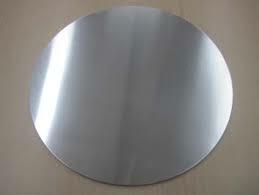 Besides, the package film of the aluminum discs is in line with the international export standard. Above are the brief introduction of the aluminum discs, and there are also many series under the aluminum discs, different series has the different application, if you want to know more about the products details you can visit the website of Haomei, and there are the detailed introduction on the website.